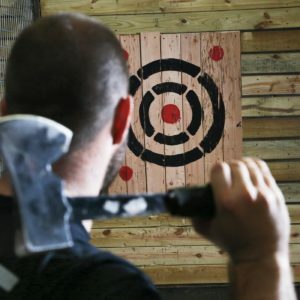 The Axe Effect | The first Urban Axe Throwing venue in Amsterdam! What is The Axe Effect? 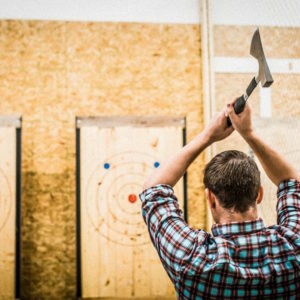 The Urban Axe Effect is the first Urban Axe Throwing venue in Amsterdam. 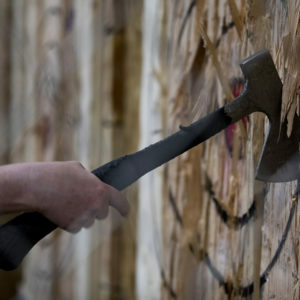 WE have 6 axe throwing lanes where you can play with 6 people per lane. Of course you can play with less than 6 people as well. Our venue is located in the former Bijlmerbajes Prison. A once in a lifetime opportunity, because the prison is going to be demolished soon! Click here to contact us via email or phone.